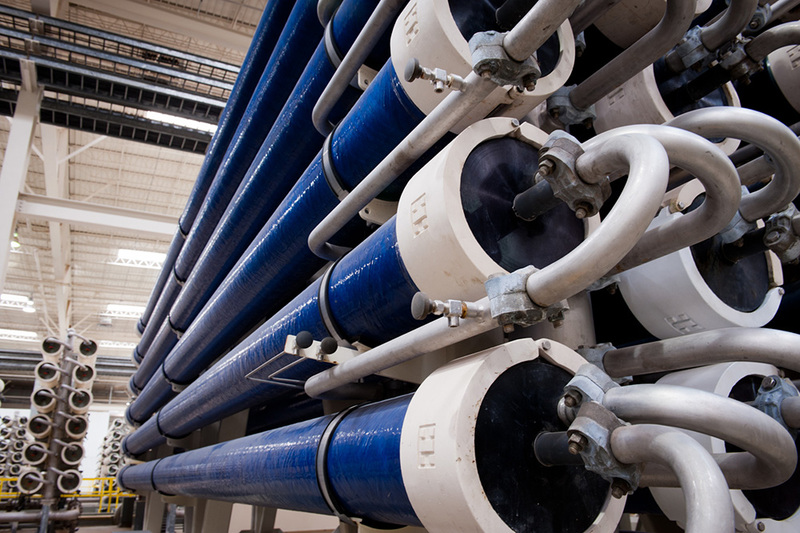 Filters in a desalination plant.WASHINGTON – Bureau of Reclamation Commissioner Brenda Burman announced that 16 entities will receive $3.5 million for laboratory and pilot-scale research projects as part of the Desalination and Water Purification Research Program. The DWPR Program works with Reclamation researchers and partners to develop more innovative, cost-effective and technologically efficient ways to desalinate water. To learn more about Reclamation's Desalination and Water Purification Research Program and see complete descriptions of the research projects please visit www.usbr.gov/research/dwpr.